Sustainable design is a growing area within many industrial sectors particularly with the rise in legislation concerning product responsibility, which places more emphasis on the way products should be designed. It is widely recognized that radical changes are needed to products and packaging if we are going to move towards sustainability, some researchers estimate that environmental impact will have to be reduced by to 95%. Sustainable design as a subject has developed considerably over the last ten years with the increase in awareness of environmental and social issues in industry. Until recently, the usual response to environmental problems was to reduce pollution and waste after it had been produced. The most advanced companies are now moving beyond the compliance mentality and being proactive in shaping future markets, consumer needs and influencing legislative developments. They see sustainable development as an opportunity rather than a threat, recognise that ‘prevention is better than cure’ and are attempting to ‘design out’ rather than simply manage the problems. Green design: has a single-issue focus, perhaps incorporating the use of some new material, such as recycled or recyclable plastic, or consider energy consumption. Ecodesign: adopts the lifecycle approach, exploring and tackling all or the greatest impacts across the products lifecycle. Sustainable design: takes a more broad and holistic approach, including: questioning/addressing needs; concern for ethics and equity, services and leasing. Considering the difference between “ green” and “conventional” product, we often do not focus on packaging. However, in our society we daily face the problem of waste and how to dispose of packaging. We see it when we recycle: the bins for paper, plastic and glass get filled so quickly, making us more aware of the huge amount of waste produced by out society. The main cause for this is quite easy to understand: very often, packaging represents a powerful marketing tool designed to attract potential consumers with endearing characteristics (e.g. colors, shapes, slogans etc.). In recent years, the environmental impact of packaging has become a prominent issue in the environmental debate as it is a very visible product in the waste stream, making up around one-third of household rubbish. The introduction of the European Packaging and Packaging Waste Directive in 1994, which requires “Member States to ensure that all packaging placed on the EU market complies with certain “essential requirements” has made packaging a more important issue for consideration in many businesses. When it comes to sustainable design, research either looks at the product or the packaging, but it is now being recognised that the two should be looked at in combination and that packaging should be considered as an integral part of the product life cycle, as it is only ever produced to protect, contain, preserve, inform and promote a product in one form or another. It is the author’s belief that by doing this it will be possible to develop significantly improve the sustainability performance of product/packaging combinations. So, can packaging be both attractive and sustainable? Actually, a compromise is possible; more and more brands are designing eco-friendly innovative solutions. For example, the well-known brand Puma has recently designed the Clever Little Bag, that is a shoes box that can be also used as a bag, avoiding any additional packaging and saving a lot of energy and raw materials. The use of biodegradable or recycled materials is, in fact, one of the main tools to design a sustainable packaging. Valcucine designs its products with eco-friendly materials, as attested by the certifications on the kitchens, such as GS, ISO 14001 and F****. Many years of research into materials and their limits of resistance have permitted Valcucine to gauge the structures of its kitchens down to the essential to create objects that are the utmost expression of design based on a minimum consumption of raw materials and energy, i.e. on the philosophy of dematerialisation. The same concerning the packaging used to wrap and protect the kitchens for shipping. Valcucine use special blankets to wrap the cabinets, instead of just cardboard boxes, in order to cushion the cabinets better. Blankets are usually reused, as reuse is better than recycle. When we do have to use cardboard boxes or foam or plywood, we make sure to reuse or recycle them after delivery and installation. 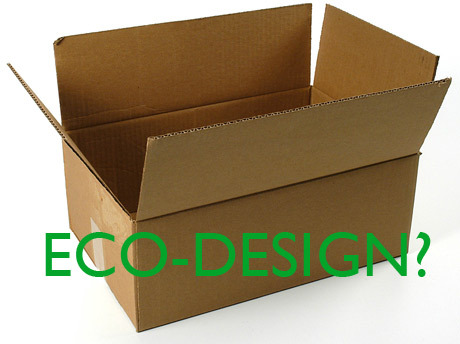 Green packaging is good for the environment and alsp for the brand image as it enables to develop creative ideas. A longer-lasting life-cycle packaging is possible, if brands invent new ways to make in reusable or living it other innovative functions. Sometimes the surface can really make the difference: a well-designed eco-friendly packaging can contribute to waste reduction and can stimulate for more innovative and creative solutions, improving the brand image. 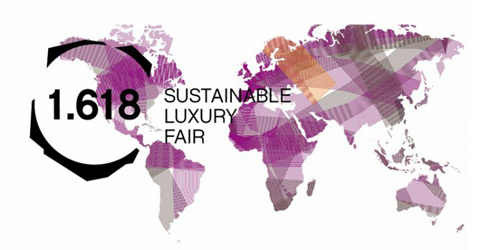 Both a trade show and an art exhibition, 1.618 Paris is the first annual “rendez-vous” of Sustainable Luxury supported by the French Ministry of Culture and the WWF. Open to the public, the event proposes a transverse selection of products and services combining art, creativity, innovation and sustainable development at the service of another Luxury, more ethical. In an innovative and contemporary setting, 1.618 Paris presents works of artists who ponder the issues of Sustainable Development and consumption. Valcucine has been selected among forty brands for its innovative, creative and ethic qualities. Protagonist of Valcucine’s show is the Artematica Vitrum program with Invitrum 100% recyclable glass and aluminum base unit system, suggested in the elegant total white version. A different approach to Sustainable Development that put the consumer in front of a necessary thought: to be consciouse about their choises. An event that join companies having the ethic, the environment, the patrimony, the society and the aestethics as principles to achieve a responsable production and an eco-friendly lifestyle. Since 1993, International World Water Day is held annually on 22 March as a means of focusing attention on the importance of freshwater and advocating for the sustainable management of freshwater resources. Each year, World Water Day highlights a specific aspect of freshwater. For this year, the theme is ‘Shared water-Shared Opportunities‘. The world’s 263 transboundary lake and river basins include the territory of 145 countries and cover nearly half of the Earth’s land surface. Great reservoirs of freshwater also move silently below our borders in underground aquifers. With every country seeking to satisfy its water needs from limited water resources, some foresee a future filled with conflict. But history shows that cooperation, not conflict, is the most common response to transboundary water management issues. We share the responsibility for managing the world’s transboundary waters for current and future generations. Currently, the most developed countries, which correspond to the 20% of the world population, consume about the 80% of the resources, while the underdeveloped populations, 80% of the world population, make use only of the 20% of the resources. If the 80% of the world population consumed the same quantity of resources of the developed countries 4 Earth would be necessary to satisfy everybody’s needs. In all its projects and creations, in its work organisation and in its impact on the territory, Valcucine has embraced the concept of eco-compatibility that is closely linked to the objective of sustainable development, capable of satisfying the requirements of the present generations without jeopardising those of future ones. Valcucine gauge the structures of its products down to the essential to create objects that are the utmost expression of design based on a minimum consumption of raw materials and energy, i.e. on the philosophy of dematerialisation.